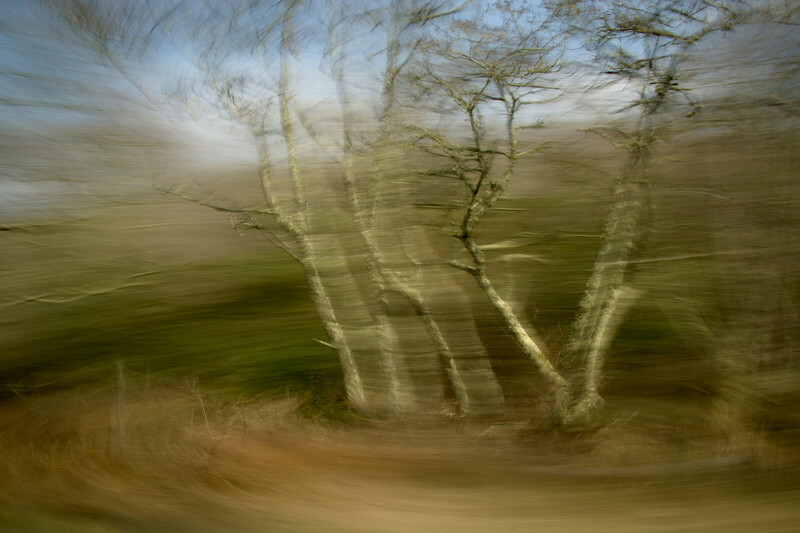 These images are all taken from a moving vehicle (passenger, not driver) at about 1/8 second shutter speed. The objective is to keep the lens pointed at the subject as it moves by. The closer the subject and the faster the vehicle, the more distortion and motion is created around the subject.